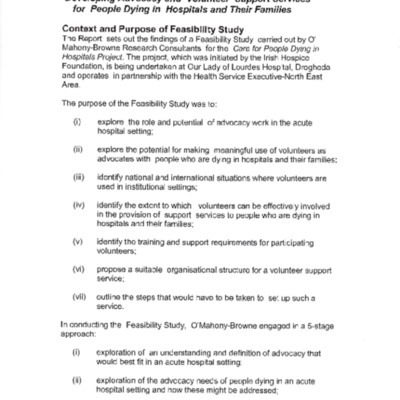 Collection: Care for People Dying in Hospitals Pilot- 2004-2006. 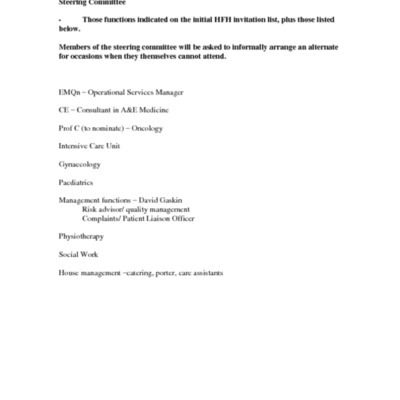 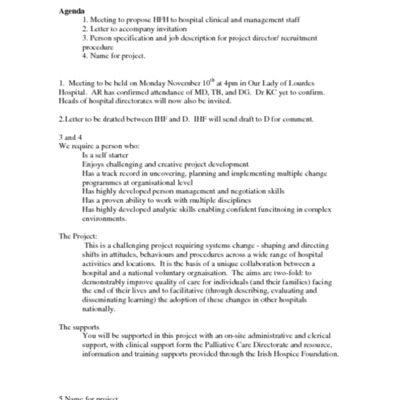 Minutes from a meeting on the Care for People Dying in Hospitals Pilot Project held in October 2003. 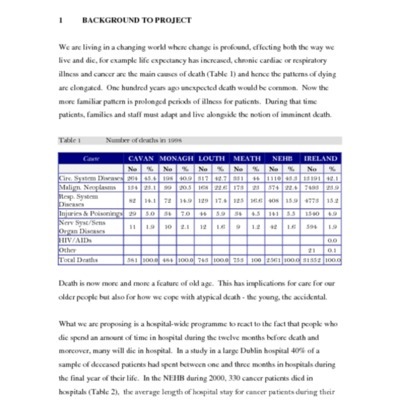 Project Board for Care for People Dying in Hospitals. 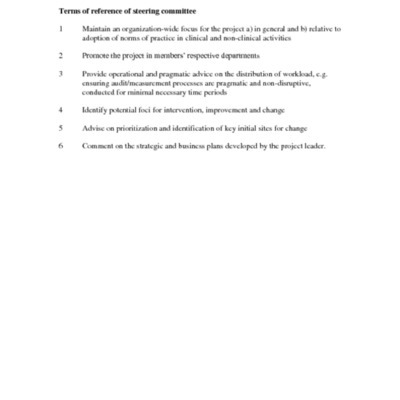 Project Board for Care for People Dying in Hospitals Pilot. 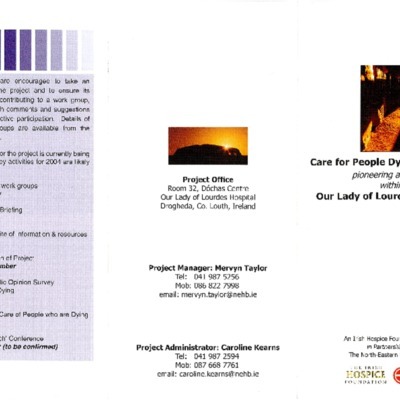 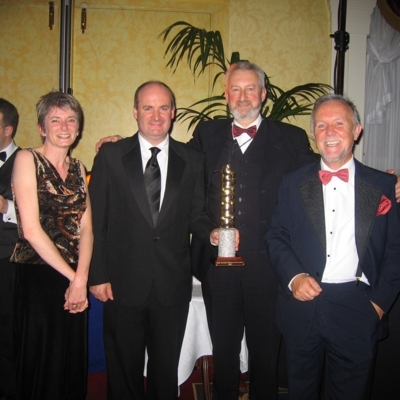 A Flyer for Care for people dying in Hospitals pilot 2004-2006 - a two year pilot at Our Lady of Lourdes Hospital in Drogheda, Co Louth. 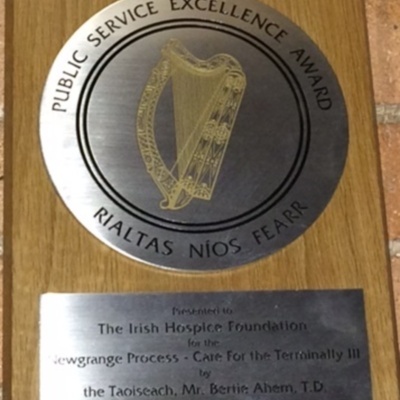 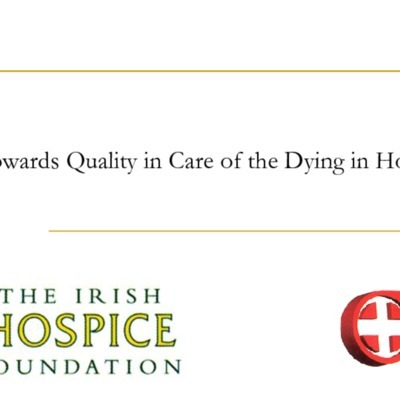 Documents outlining the process of Hospice Friendly Hospitals programme, and the creation of Care for People Dying in Hospitals project. 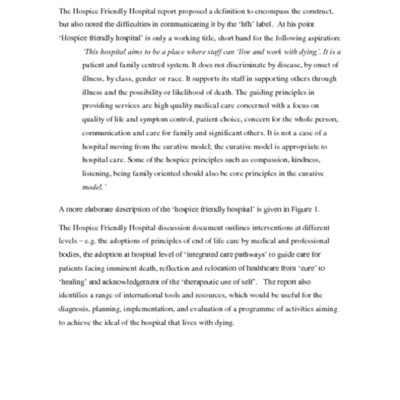 Documents outlining the behaviour and principles of the committees concerned with the Hospice Friendly Hospitals programme and Care for People Dying in Hospitals project.